Encompassing all elements of hairdressing and utilising the full spectrum of colour, this collaboration delivers a fresh take on balance, texture, shape and volume. Working together over a period of 12 months, both teams developed a concise and complimentary collection. 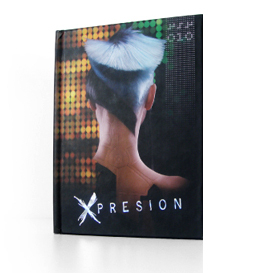 Inspired by the spirit of collaboration, X-presion and Saco Academy are proud to present a fashion forward perspective on dressing, cut and colour. Spectre. Spectrum. Espectro.